At Anoka-Ramsey, studying chemistry is more than watching bubbling beakers and memorizing the periodic tables. Chemistry Department faculty inspire students to think like scientists as they explore the dynamics of chemical transformation. The department's classrooms are equipped with advanced multimedia, and labs feature computers with data acquisition capabilities. Chemistry Department faculty have an excellent reputation within the community and at transfer institutions. Together with their students, faculty often visit area elementary schools, bringing chemistry alive in the classroom, or serve as science fair judges. 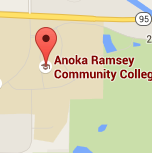 The Chemistry Department at Anoka-Ramsey does not offer a degree. Courses offered range from Organic Chemistry to Chemistry in Society. 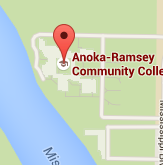 Chemistry courses at Anoka-Ramsey are the standard courses offered by most colleges and universities to first- and second-year students. They are designed for easy transferability. Anoka-Ramsey is one of the few colleges where students can take the full-year sequence of Principles of Chemistry in just 10 weeks, over the summer. The Chemistry Department offers student ease in transferability, as the courses offered are the standard courses offered in the first two years at most colleges and universities in the country. The Chemistry faculty have an excellent reputation in the local community and transfer institutions. Faculty and their students are often found at area elementary schools, bringing chemistry alive in the classrooms or serving as science fair judges.